Shortly after Qualcomm announced that LeTV’s Le Max Pro is the first smartphone to feature its Snapdragon 820 SoC, Xiaomi revealed that the Mi 5 flagship smartphone will pack the Qualcomm Snapdragon 820 processor as well. The company also alongside confirmed other updates about the handset’s development. The news was confirmed by Xiaomi Co-Founder and Senior VP Liwan Jiang in a Weibo post. He also revealed that the Mi 5 has now entered mass production and the company is making sure that there are enough units available for consumers when the phone finally launches. Jiang also spilled the beans about launch of the much-anticipated Mi 5. He said that the Xiaomi Mi 5 will launch after the Spring Festival, which this year starts on February 8, and lasts 15 days. Additionally, Xiaomi CEO Lei Jun has further fuelled the anticipation for the Mi 5 smartphone saying on Weibo, “I’ve spent some time” (Bing translation) with the Mi 5. To recall, Jun back in November hadrevealed that the Mi 5 was “worth the wait” and was “very, very good”. Based on previous leaks, the Mi 5 features a 5.2-inch display with either full-HD or QHD resolution. The handset is said to come in two memory and storage versions – 3GB of RAM with 32GB inbuilt storage, and 4GB of RAM with 64GB storage. On the camera front, the Mi 5 is rumoured to pack a 16-megapixel rear camera and a 13-megapixel front-facing camera. It is also supposed to be backed by a 3600mAh battery with Quick Charge 3.0 tech. 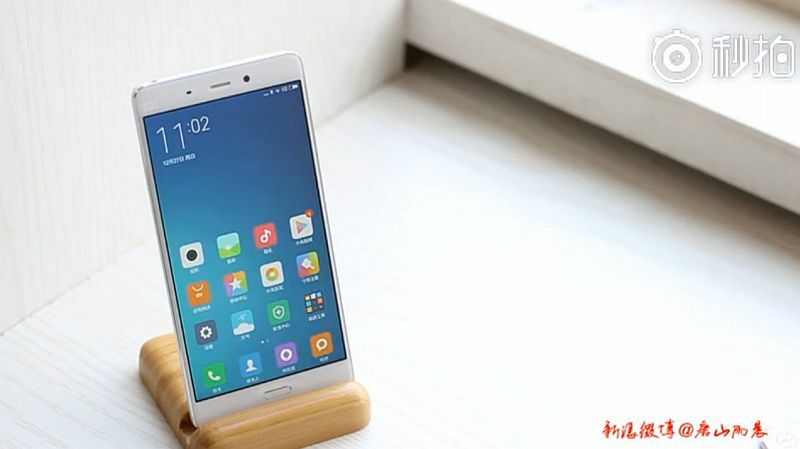 The handset is said to run MIUI 7 based on Android 6.0 Marshmallow. For pricing, the 32GB inbuilt storage and 3GB RAM version has been said to be priced at CNY 1,999 (roughly Rs. 20,300), the 64GB inbuilt storage, and 4GB RAM priced at CNY 2,299 (roughly Rs. 23,400).